The offshore industry presents a unique set of challenges for conveyor systems. Conveyors, either on deck or below, are subjected to a variety of conditions that are not usually seen on land. These can include large temperature fluctuations, salt spray and buildup, ice, grit, and damage from the pitching and rolling that can occur in heavy seas. To meet these challenges, well designed offshore conveyors must incorporate two primary considerations; simplicity and robustness. Frames must be strong enough to withstand the vigours at sea while being open to allow off flow of water to minimize salt and ice buildup. They must be simple enough so that they may be easily disassembled, with a minimum of tools, for easy cleaning and repair when required. 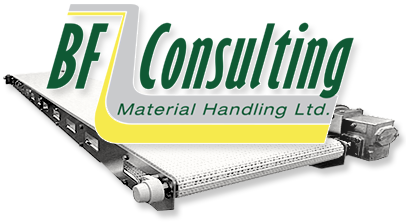 At BF Consulting we offer robust stainless steel conveyors, with high quality sealed bearings and motors. These conveyors can be configured to meet your exact needs, or we can provide conveyors of a modular nature that can be easily reconfigured should your requirements be variable from ship to ship. All of the conveyors we provide are designed for simple and fast take down. 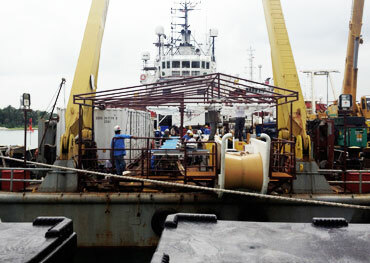 We understand that equipment becomes truly expensive when it does not work properly at sea.